I don't know why it still comes as a surprise to me, but after a workout I'm always starving! Inevitably I've forgotten to bring a snack and it's been a long time since lunch, and I end up roaming the streets on my way home searching for something to eat. I've been going to Pure Barre for the last six months or so, and since my friend is an instructor I travel a couple of miles to go to her location. Let me tell you, if I try to get on the el without grabbing something first I get hangry!! 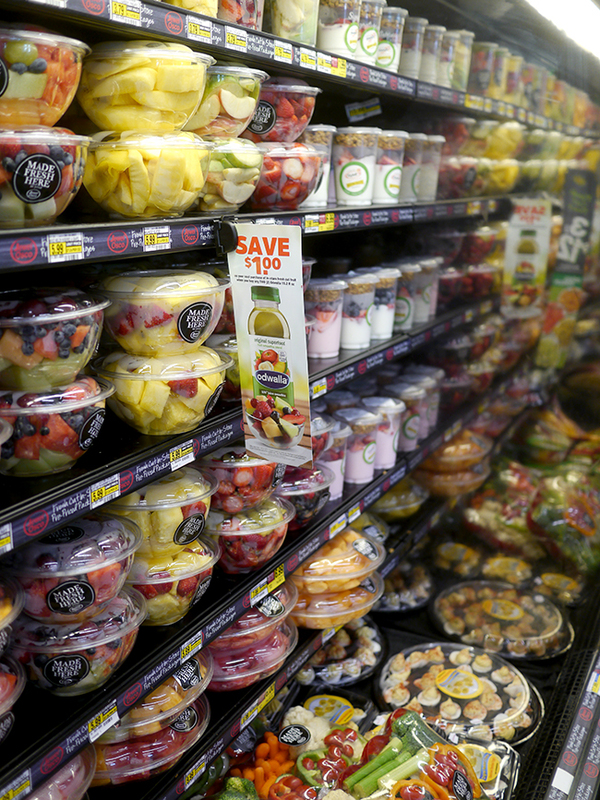 To refuel after a workout, I've been ducking into a grocery store on the way home to pick up something easy that will help me stay on track after a workout. 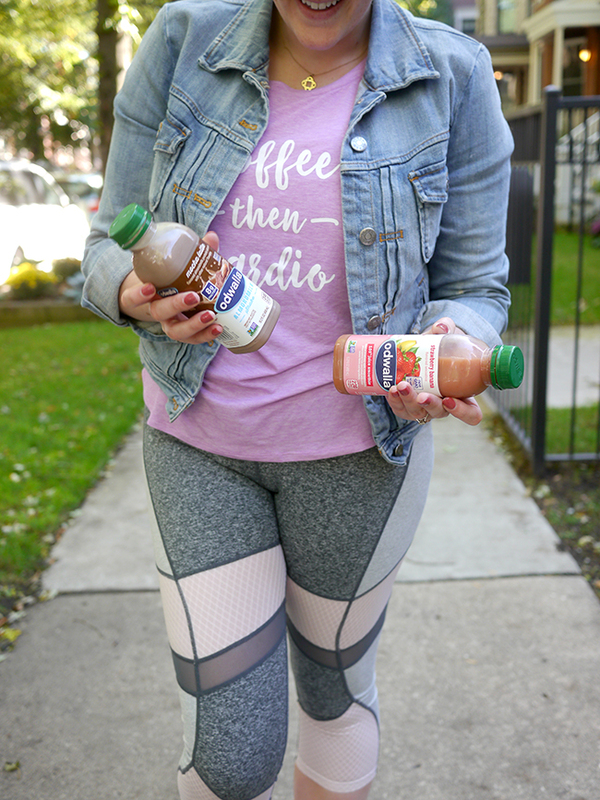 I love snagging these juices and smoothies by Odwalla - they're a great way to sneak in some easy, great-tasting nutrition. I've been drinking these for years because I'm lazy and don't want to take the time to make myself something healthy, but know I still need to get all of those servings of fruit and vegetables in. 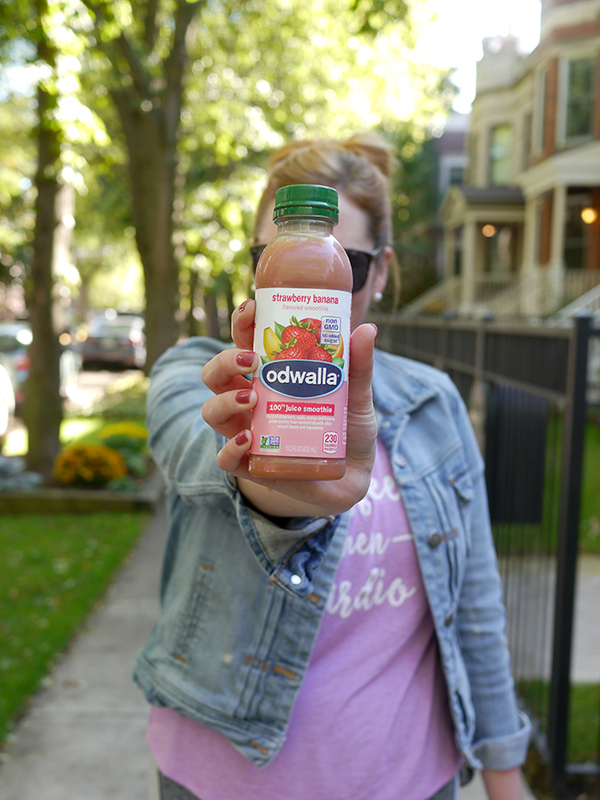 I love that Odwalla smoothies are 100% juice, non GMO verified, and have no added sugar. I also just tried the almond milk smoothie for the first time, and you guys, I might be addicted now. 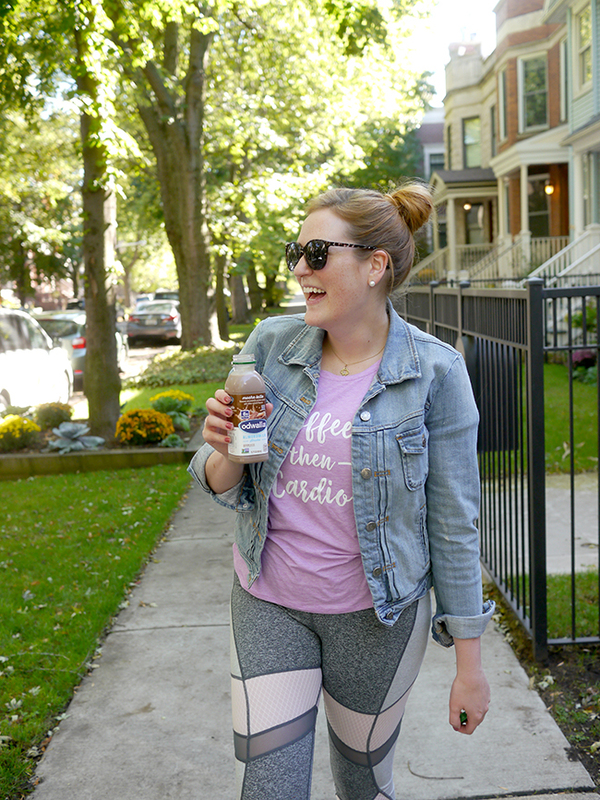 I mean, it's basically chocolate milk but made with almonds - yes please! Jeff tried it too and then had to finish off the bottle. 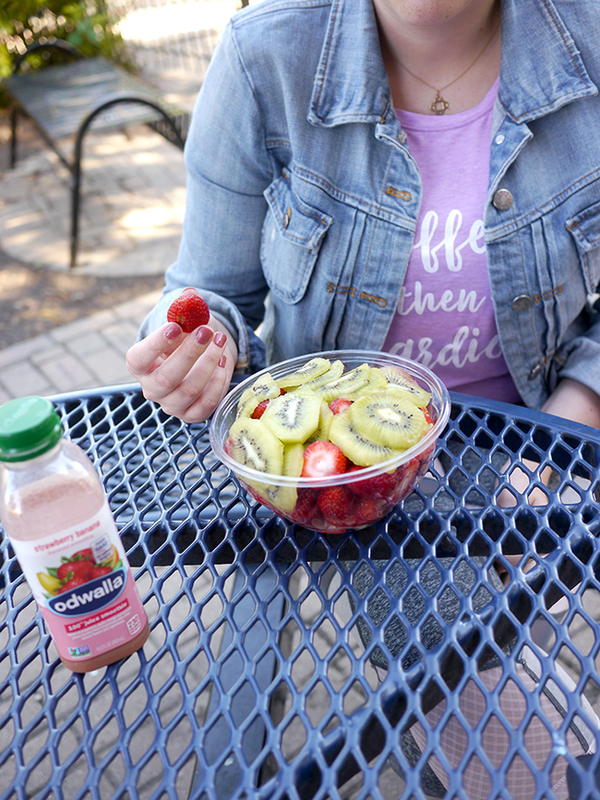 Right now Odwalla is running a promotion with Jewel and other grocery stores to offer $1 off in-store fresh cut fruit when you buy any two Odwalla 15.2oz juices or smoothies. * The lazy girl inside of me loves to buy fresh-cut fruit, it makes snacking (and life!) so much easier!! 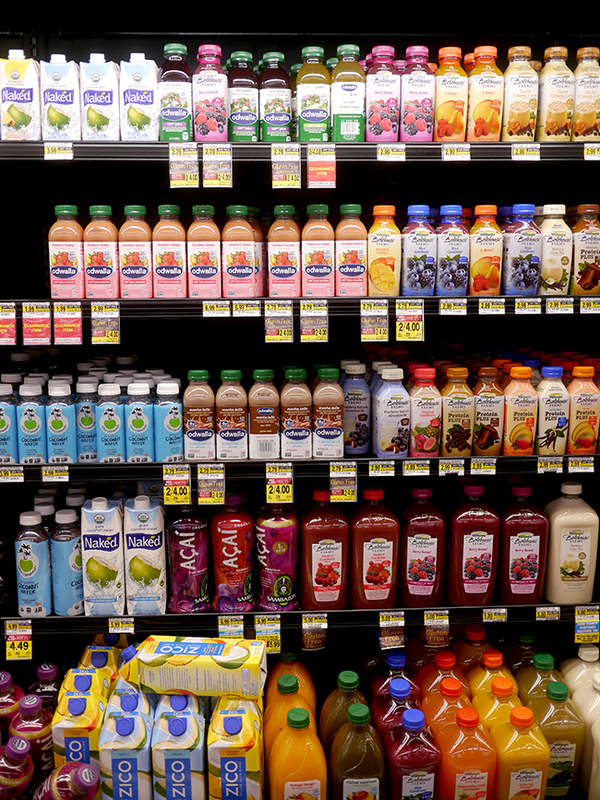 I found the Odwalla juices in the fresh juice area in the produce section right by the fresh-cut fruit - easy peasy! Now if you'll excuse me, I have quite a few strawberries to take down. 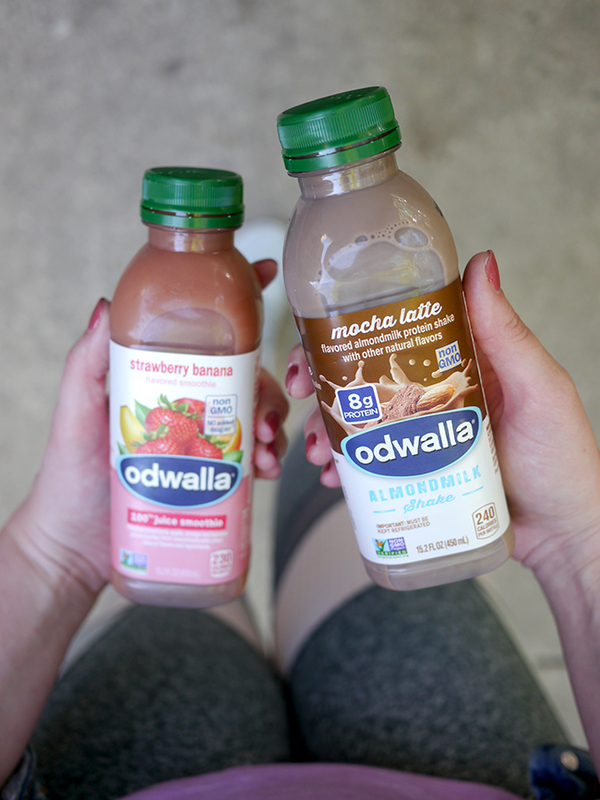 *Save $1 on your next purchase of in-store fresh cut fruit when you buy any TWO (2) Odwalla 15.2 fl. oz. (You'll receive a print out coupon at the register.). Offer ends 10/31/2017. 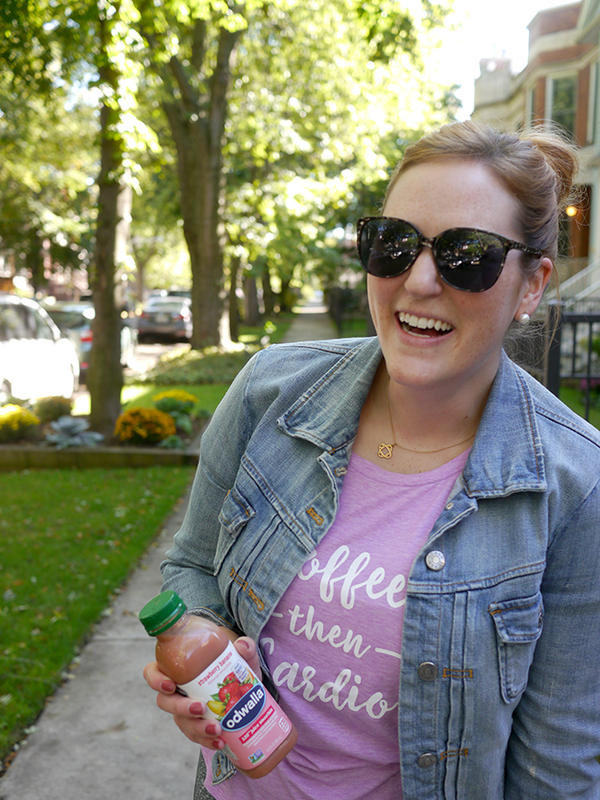 Thank you for supporting the brands that support Kristina does the Internets!